The overall length of the shank of a mandrel assembly — i.e., the length of a non-inserted mandrel body or the combined length of a mandrel nose insert and mandrel body. This specification does not include the ball assembly and typically varies according to set standards relative to tube diameter. 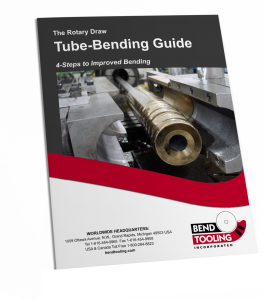 However, overall length may be increased and decreased from the standard to accommodate special considerations involving the reach of the mandrel rod or the collet of a tube-bending machine.